VPN on an iOS device is something you definitely want to have. Why? Because VPN secures your connection (changes IP, encrypts your data) and in some cases, you’ll get access to sites that might be blocked for users in your country (this decision is made by the IP address, by the way). However, choosing the right VPN for your iOS can be both confusing and time-consuming. To save you from a lot of research we have compiled this review for an app, GOOSE VPN. 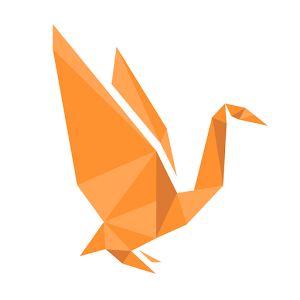 GOOSE VPN is a free, incredibly simple app to browse the Internet privately and securely. The beauty of GOOSE VPN app is that it protects your online privacy, lets you access your favorite websites & apps, and secures your connection on public Wi-Fi hotspots. By using GOOSE VPN, you can browse from anywhere with peace of mind knowing that your online activity is more private from hackers, ISPs, and advertisers. The best thing about this app is that you can create your personal account using your social accounts. Moreover, it offers amazing monthly and yearly subscription deals that suit your budget. So what else do you need? Get this one today free for your iOS and don’t be worried anymore while using the internet. Download it for your iOS from the link present below.